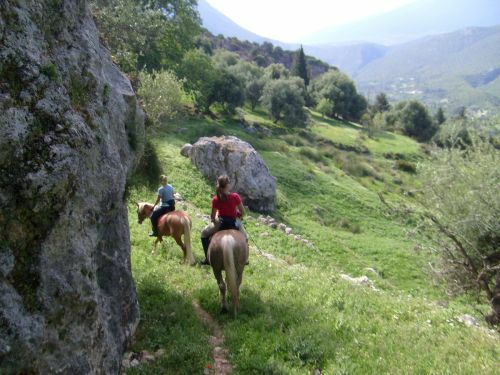 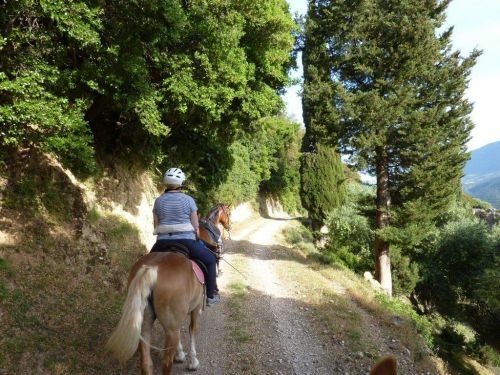 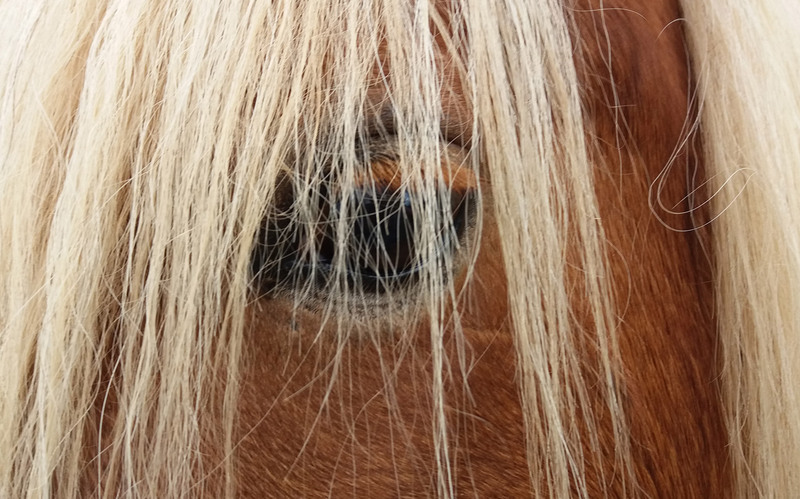 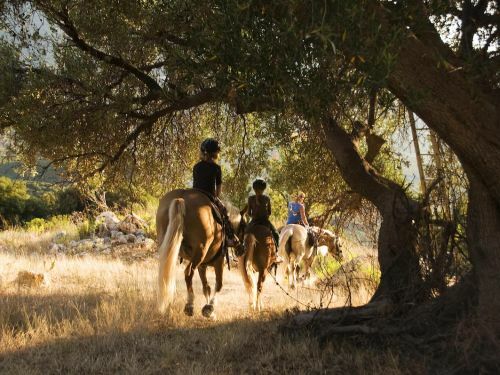 Enjoy the mountains, canyons, valleys, olive groves and the virgin nature of Kefalonia on horseback. 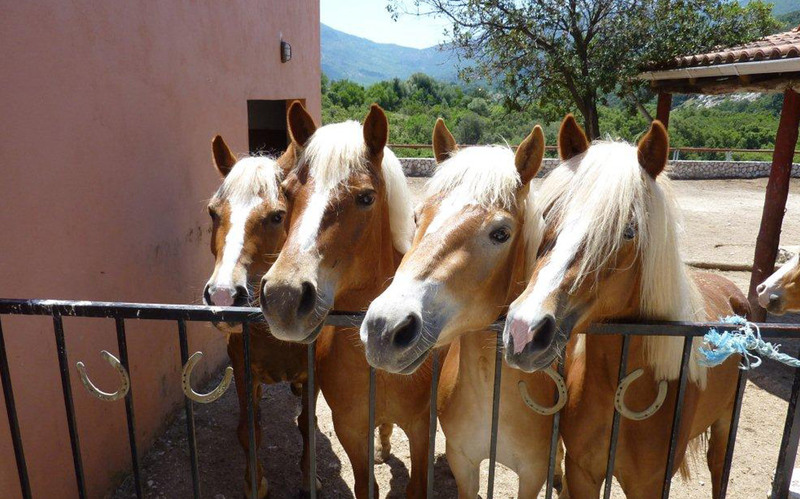 I’ll show you all these places on my sturdy, sure-footed and well trained horses - Haflingers and Bavarian warm bloods. 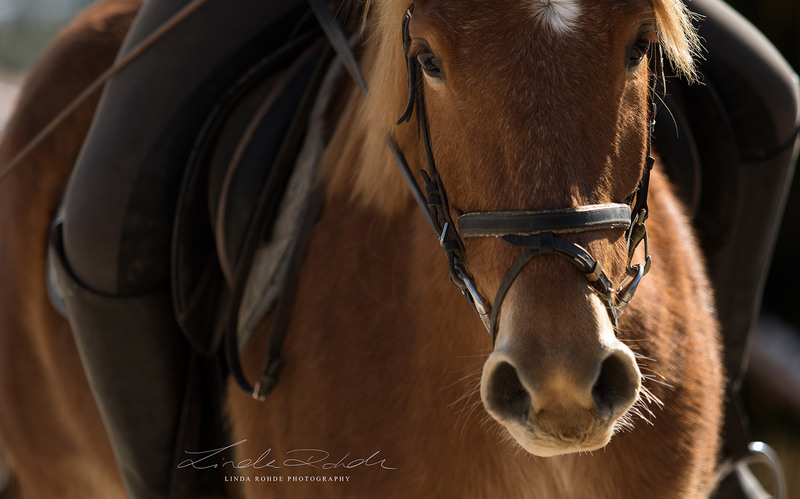 I am a qualified German horse teacher / instructor in countryside, dressage and jumping. 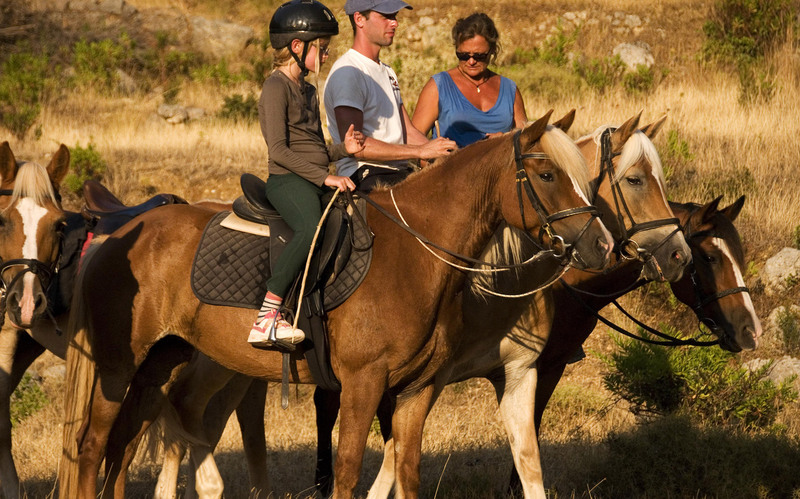 Everybody can ride our horses whether is a beginner or an experienced rider, a young or an older person. 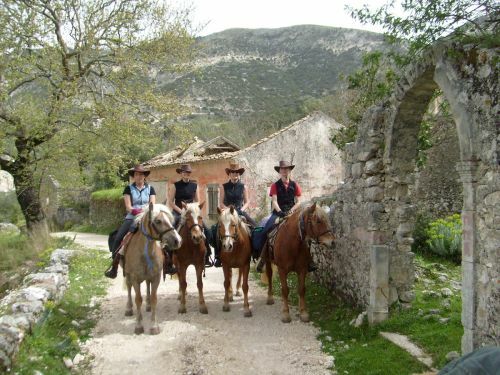 We ride in western, English and trekking saddles. 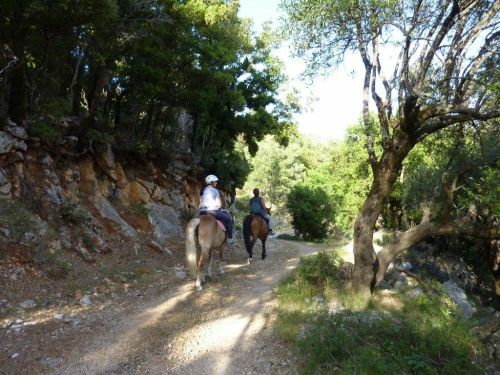 We can also plan our trips together so as to visit some of the famous sites of the island such as the caves of Melissani and Drogarati, the monasteries Agrilia and Fanentes, old donkey trails with a fantastic view of the neighboring islands of Lefkas and Ithaca, we cross olive groves and fruit orchards and we also visit the majestic Mountain Aenos. 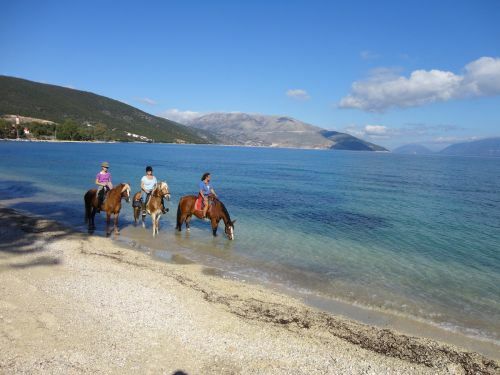 Last but not least we go to the sea where we swim with the horses, and so much more! 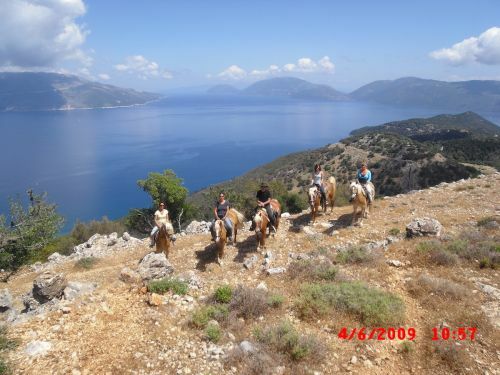 Experience the magic of riding in Kefalonia and explore through the trails, unique destinations with breathtaking landscapes and views that will offer you unforgettable memories.